FROM THE EDITOR: It seems to me that the governments of this nation already know they are unjust and are in preparation for their injustice by vamping up their police forces across this nation. This leads me to believe that nowhere in the minds of the people who manage our cities, states and federal government is there any intention of justice. The only intention in their minds is enforcement. That they would prepare to stop the outcry of injustice rather than make certain to do what is right even with video evidence that a crime has been committed on a teenager in America is appalling and a disgusting representation of this nation. History has proven the arrogant bigotry of America time and again that there is no apology, no sympathy, and no justice in these people. It would be a waste of time and life for any of us to cry out to the death ears of these rule makers. If with all the evidence they have this criminal should be acquitted I propose that rather than riot and tear up what little bit we do have; that the only just recourse would be to band together to get all of our money back that has been collected from us in taxes since our so-called freedom from working for nothing in this country. 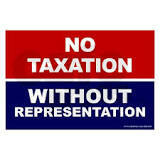 The American Bill of Rights was built on the belief that there shall be no taxation without representation. Not only are we as a people, undesirable to the leaders of our house of representatives and our congress, not represented, we are not protected nor valued. I just want my money back. That’s it that’s all. A 12-member jury is weighing whether to indict Ferguson police officer Darren Wilson, who is white, with fatally shooting Brown, a black teenager who was unarmed, on Aug. 9. The case triggered months of protests on the streets of Ferguson, some of which turned violent. Police arrested three protesters on Friday night, the third straight night of unrest. Activists are calling for changes in the way police officers interact with the community, race relations and socioeconomic factors that led to the unrest. To that end, Missouri Gov. Jay Nixon appointed 16 people to the Ferguson Commission, which will study the issues and recommend action steps by Sept. 2015. Federal, state and local law enforcement agencies have deployed additional officers to the area in advance of any demonstrations, including about 100 FBI agents. Nixon has also activated the National Guard, and schools in Ferguson and nearby communities have canceled classes. On Saturday, authorities set up barricades around the Buzz Westfall Justice Center in Clayton, which is where the grand jury has been meeting. The office of Gov. Jay Nixon is considering more than 300 applicants to sit on his 15-person Ferguson Commission. By the November 10th deadline, the office had received 323 applications and nominations, only about a third came from St. Louis, according to data provided by the office. Many were from St. Louis County, including 34 from Ferguson and 34 from Florissant. A few even applied from out-of-state. The governor announced last month he would convene the committee to address the “social and economic conditions” highlighted by protests after the killing of Michael Brown. 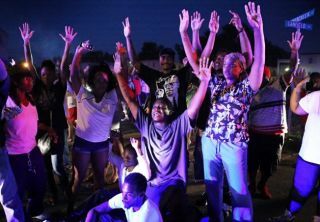 Nixon delineated three goals for the group: 1) to study the underlying causes of the unrest, 2) to tap into expertise needed to address those concerns, and 3) to recommend specific ways to make St. Louis “a stronger, fairer place” to live. Although the commission members have not been selected, it seems likely that they will include the usual liberals from academia, race-baiters from the Al Sharpton school of community activism, politicians of all types pandering for the black vote and representatives of the massively dysfunctional school system. Hopefully there will be some conservative members of the commission to balance the effect of this very liberal group. The objectionable attitude of the St. Louis Post is a good indication of how much will be accomplished by the Governor’s effort. The Ferguson Commission must have the conversation on race that St. Louisans don’t want to have.